The ENCI-LowCarb Project's activities for development of scenarios for France and Germany were done in each country with cooperation between a research institute with expertise in energy-economy modelling and a NGO. In addition social scientists in the form of sociologists were involved in the activities. This cooperation of different scientists and civil society was an important basis for the Project's scenario development activities. 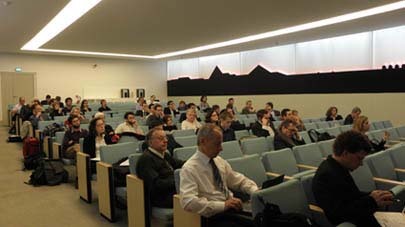 The involvement of researchers that operate an energy-economy model was essential for the project. 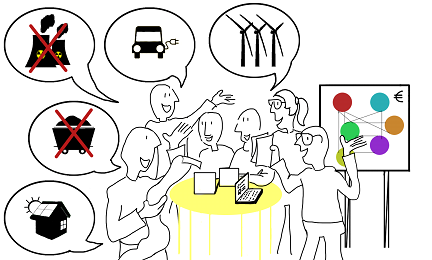 In order to integrate the element of “social or stakeholder acceptance” in the modelling process, it was an advantage to involve social scientists that are proficient in both quantitative and qualitative research methods to evaluate social acceptance of the elements of a low-carbon transitions. Additionally, it adds value to include civil society partners that are well embedded within the CSO landscape and that can be facilitators between scientists and other CSOs. As civil society partners, well established NGOs constitute good candidates, as they are formal entities with continues activities, which cannot necessarily be generalized to all CSOs. For this project the term civil society and civil society organisations (CSOs) was used as the umbrella term and NGOs are considered as a subset of CSOs. To include NGOs and scientists of different traditions in a successful cooperation, it is important to build a team. It cannot be expected that they will cooperate optimally on a joint project without some team-building process. Given the challenges for successful cooperation, the project adopted methodologies to establish fully functional project teams with NGOs and different researchers that could adopt an interdisciplinary approach and were able to produce quantitative energy-economy model scenarios with underlying political framework conditions. A simplified organizational structure of the French and German project teams is shown in figure. Figure: Organizational structure of the project teams for development of scenarios with civil society involvement in more countries in parallel. The figure shows the adopted structure enabling vigorous communication flows between all project partners; the colour codes visualize the different communities and countries. For the German team, a special challenge was that the model used could not directly represent many of the policy measures proposed by the NGO in the project team as well as by stakeholders as the sectoral representation of for example the building stock is not explicit. To address this, the team employed a “wish-list” method that became part of the team-building process between the NGO members and the researchers in charge of the quantitative model. With this method the quantitative modellers receive a “wish-list” with model features that the other partner would like to see in the model and what kind of results they expect. The NGO members receive considerations on what kind of stakeholders to consult. Thereby, each project partner gets a good understanding on how the others perceive his/her discipline. Each partner then presents what he/she originally planned to contribute in the project and relates this to the “wish-list” items. Such an exercise will reveal the considerations and thinking patterns of the project partners. After each presentation, some time is reserved for clarifying terms that were unclear or non-familiar to one or more partners. 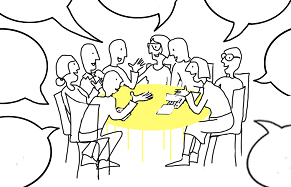 Here, project partners have a chance to realize potential barriers to communication. Finally, in thematic sessions, the history and status quo of the domestic energy system can be presented, to develop a common understanding of the facts and context of the other country’s challenges. During the “wish-list” process, the project partners have a chance to develop a common language and gain realistic expectations of the abilities of the quantitative model, the concept of social acceptance and the stakeholder landscape. In repetitive exchange, project partners develop a joint idea of the research methods they will employ. This leads to a state characterized by cohesiveness and in-group feeling, where the group is ready to perform joint tasks.